The most talked about human being on any train heading to Brooklyn, website with the word “Isles” in it, and any fan wearing Blue and Orange for the past 3 years is the infamous Garth Snow. An entire trend on Twitter with the hashtag “SnowMustGo”, chants from passionate fans during the past season pleading for Snow to be fired, and TWO billboards within a mile of Atlantic Terminal paid for by the fans themselves that simply state that Snow must go. But I’m not here to just tell you that Garth Snow needs to go because I think the fans have done that well enough. I’m here to bring up the sheer incompetence shown by not only Garth Snow but the organization as a whole. July 18th, 2006. The New York Islanders decided to hire a newly retired goaltender with zero experience. This upcoming July will be the 12-year mark for this ex-NHL goaltender as the Islander’s General Manager. In that 12-year span, the Islanders have made the play0ffs 4 times, have advanced to the second round once, and have never finished first or second in the division. One of the biggest parts of creating a successful team is scouting and drafting. This is what made such a huge difference for the Red Wings and why they were able to win 4 Stanley Cups in recent history and make playoff appearances every year for 2 decades. Detroit knew how to scout, they knew how to draft. No team in recent history has been able to make as many impactful late-round picks as the Red Wings including, Nicklas Lidstrom in the 3rd round, Sergei Fedorov in the 4th round, Mike Knuble in the 4th round, Pavel Datsyuk in the 6th round, and Henrik Zetterberg in the 7th round. This is a testament to the Red Wings organization and their dedication to hiring the right personnel to give themselves the best chance to win. Now let’s contrast with the Islanders. This team’s history of drafting has suffered since Torrey left but has been pathetic since Snow took over. Some examples include drafting Ryan Strome over Sean Couturier, Josh Bailey over Erik Karlsson, and Nino Niederreiter over Vladamir Tarasenko. Now it is understood that GM’s and scouting teams can make the wrong pick but Garth had 12 years to draft a team for the future and he’s only made a pick my 6-year-old cousin could make in selecting Tavares and he drafted Barzal. Everything other than those two has been mediocre. One season out of the 12 sticks out the most and that is the 2012 draft. That year might be one of the biggest failed plans from this organization in years. Garth and his scouting team made the right decision and used that draft to bolster the blue line. We had a pick for each round and we used all seven picks to get defensemen. It was a good decision at the time as defense was and still is a major hole on our team. It has been 6 years since that draft and I will break it down pick by pick. Griffin was easily the most promising pick with a good reputation with the Edmonton Oil Kings. He might go down as one of the biggest first-round busts in Isles history. Since he was drafted he has played a total of 37 NHL games with the Oilers and only has 2 points. Even though we were able to get Barzal’s pick out of him, I’m criticizing the pick itself and what Griffin has done so far. Notable defenseman selected after Reinhart: Morgan Rielly, Hampus Lindholm, Matthew Dumba, Jacob Trouba, Brady Skjei and many more. Ville Pokka was a pick for the future and everyone knew he was going to need time to develop. In 6 years, Pokka has yet to see the NHL and has been playing for the Blackhawks farm team since we traded him for Leddy. Again, I’m not criticizing the trade, I’m criticizing what the scouts were thinking when they made the selection. Notable players selected after Pokka: Colton Sissons(188GP, 47 points), Chris Tierney(282GP, 104 points), and Damon Severson(278GP, 92 points as a defenseman). Out of this group of 7 picks, Pelech will have the best NHL career. After spending a decent amount of time developing in the minors, it seems like Adam will keep his spot on the team as an average bottom-six defender. 129 NHL games played including 76 this season. I hope he continues to develop but it appears as if a steady, bottom-six career is in front of him in the NHL. Notable players selected after Pelech: Jimmy Vesey(157GP, 55 points), Shayne Gostisbehere(218GP, 147 points as a defenseman), Matt Murray(110GP, .917 pct and 2 Stanley Cups), Colton Parayko(240GP, 103 points as a defenseman), and Frederik Andersen(255 GP, .918 pct). Loic Leduc was supposed to be a big, crease-clearing, depth guy. He turned out to not only be a bust but also not good enough to be a trade asset. He hasn’t played an NHL game, hasn’t cracked an NHL roster, and has had trouble even making AHL rosters. I’m a bit harsh on the guy but this was only a 4th round pick and selected right after Leduc was Andreas Athanasiou who was drafted by who else but the Detroit Red Wings. Notable players selected after Leduc: Andreas Athanasiou(170GP, 76 points) and Jaccob Slavin(225GP, 84 points as a defenseman). Somerby committed to play at Boston University shortly after his selection in the draft. He played all 4 years there and just graduated last year. He now is on the roster for the Cleveland Monsters and is showing very few signs that he will crack an NHL roster anytime soon. Notable players selected after Somerby: Conor Hellebuyck(NHL All-star), Colin Miller(40 points with Vegas this season), Connor Carrick, and Alex Kerfoot(currently has 43 points this season) who have a combined 573 games played in the NHL. If you follow trends easily you can probably guess how this pick turned out. Granted this is the late side of the draft and it’s hard to scout players this far into the draft that can make an impact in the NHL, but good teams have done it in the past. Jesse Graham has bounced around leagues but has never seen an NHL game and most likely never will. Notable player selected after Graham: Connor Brown(170 NHL games played). Similarly to Doyle Somerby, Bischoff would start playing college hockey shortly after the draft and finished 4 years with the University of Minnesota. He would only play 6 games with the Islanders organization in Bridgeport and is now currently playing for the Chicago Wolves. Notable players selected after Bischoff: Christian Djoos(62 NHL games played) and Nikita Gusev(KHL All-star). The final verdict? There are only two possible conclusions drawn from this. 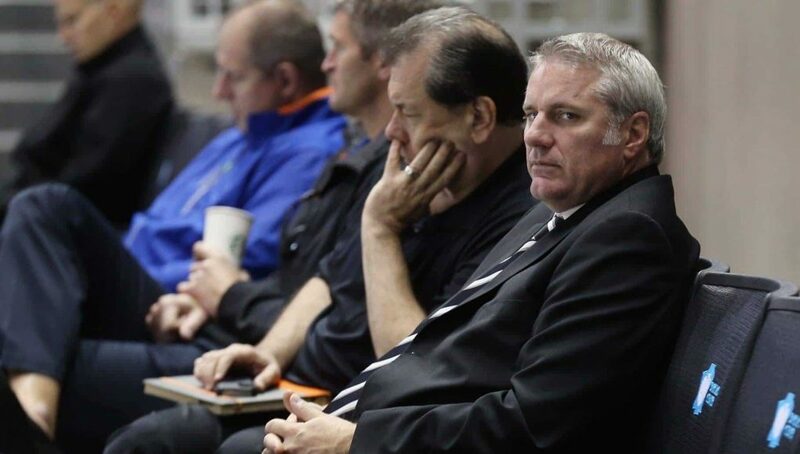 Either Garth and his scouting team have no clue how to scout the right prospects for the draft or the coaching staff and Isles management have no idea how to properly develop prospects. My feeling is that it’s a combination of both but either way this shows the true incompetence this organization has continued for over a decade. Where Does 2017-18 Rank Among the Lost Seasons In Islander History?